Red Rufus makes huggable, original, quirky animals from pairs of socks. Every SockAnimal is carefully handmade using traditional sewing and crafting techniques – these show skills make each one unique.Rufus, is the Irish Setter that inspired a business and Christina’s love. His beautiful face and dog antics bring her constant joy. He’s the sleeping partner in the business, which Christina created and her constant companion. 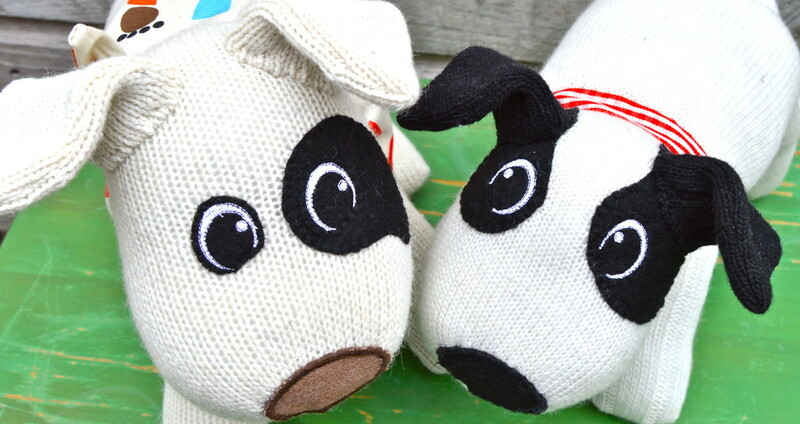 Christina made her first SockDogs, from Rufus, for her three children for Christmas in 2008, when Rufus was a small, gangly puppy. Not formally trained in sewing or design, Christina explores construction and production methods. She continuously challenges herself to produce a higher standard of design and handiwork while creating an appealing SockAnimal. Always enjoying the constraint of using a pair of socks as the starting point! Red Rufus SockAnimals are perfect gift for any age from birth onwards. Contemporary and stylish soft toys – made the old fashioned way to be cherished for a lifetime. at the Point Square, Dublin 1. Supported by Dublin City Council. Copyright © 2019 Dublin Flea Christmas Market.